With a concise and consistent syntax, a friendly, helpful community, a free Developer Edition, and support for popular WYSIWYG tools, Lasso is very easy to learn, yet feature-rich. Lasso is a great introduction to the world of programming. Lasso includes comprehensive documentation to help you install and configure Lasso Server, get you started with the language, and enable you to master its many features. 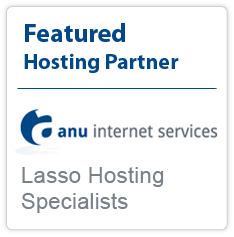 The Lasso language is strongly supported by an active and friendly user community. The quick and helpful exchange around issues and ideas is one of the great strengths of this language, especially for new programmers. Lasso code runs on all supported platforms without changes. Code can be written and deployed on any combination of Mac OS X, Windows, and CentOS Linux servers. This compatibility makes it easy to program on a local machine and deploy on a server using a different OS. 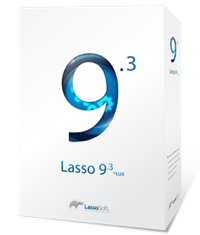 Lasso 9 Server includes built-in support for FastCGI, which allows it to integrate seamlessly with Apache, IIS, and other web servers. 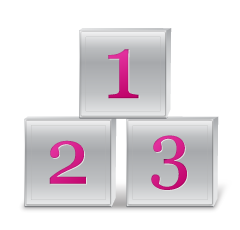 Installation is quick and easy with simple installer apps; no command-line compilation or configuration required. It also includes a web-based administration interface which makes it easy to configure users and groups, set up data sources, monitor the email queue, run SQL statements on any data source, execute Lasso code snippets, and more. Lasso makes it easy to access data from many different datasources using a common query language. The same code can be used to access MySQL, Oracle, or even FileMaker. Lasso automatically generates SQL statements or datasource-specific commands to perform database actions. This is sometimes referred to as a "database abstraction layer." Hand-crafted SQL statements can also be used to access advanced database features.